For oceanographers, going to sea isn’t as simple as driving to the dock, climbing on board a ship, and motoring away. The process takes an average of two or more years. 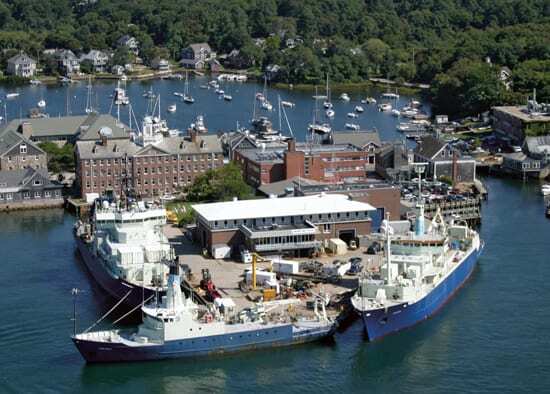 It begins with a proposal to do research and, if funded, moves forward and becomes a reality with the help of ship schedulers like Liz Caporelli at Woods Hole Oceanographic Institution (WHOI). 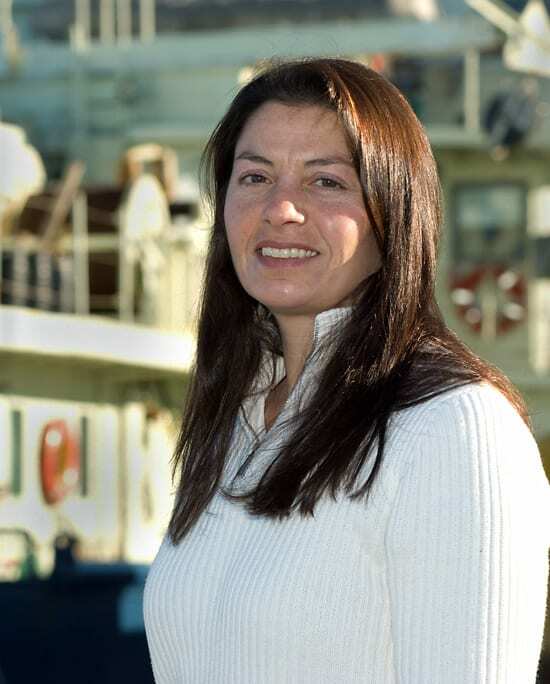 It’s up to her to provide scientists with the correct ingredients for their at-sea research: the right vessel, working in the right area of ocean, at the best time of year, and with the ideal research equipment. Caporelli’s job doesn’t end when the ship leaves. 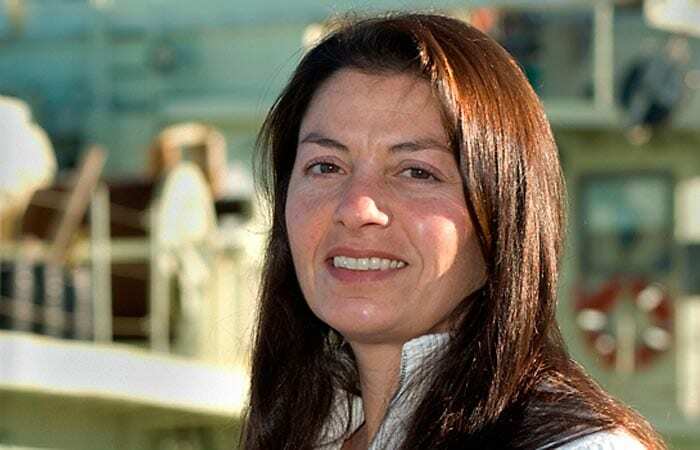 She serves as an onshore liaison, keeping the ships on (or close to) schedule while constantly jockeying through a variety of inevitable but unpredictable circumstances, ranging from storms and ship maintenance to surprise port closings in foreign countries. Keeping three WHOI-operated ships—Knorr, Atlantis, and Oceanus—working on schedule, and keeping scientists’ interests in mind, seems like an intense job. How do you deal with it? There’s no typical day, and there is no normal. It just becomes a lifestyle. Last fall I was going into a concert with my brother, and I got a call that Atlantis was having a problem getting clearance from the Canadian government for the submersible Alvin to dive in Canadian waters. It turned out the person we needed to talk with in their government had taken an unexpected leave of absence. So there I was on a Friday night in the parking lot before the Counting Crows started singing, calling the U.S. State Department. Meanwhile, the ship was on station, with Alvin ready to go, waiting for a phone call from me so that they could put the sub in the water once I got the clearance from Canada—which I did eventually get. That’s right. Within 200 nautical miles of another country’s coast, we have to apply for research clearances. Some countries, like Mexico, require the applications seven months in advance. We have to schedule around the timing of clearances. For instance, if someone gets funded in the summer, they can’t go to sea off Mexico in January, because there’s not time to get a clearance through the system. So I have to keep that mind for the whole scheduling process. What happens if things are delayed? Do ship schedulers work together to make ideal schedules? 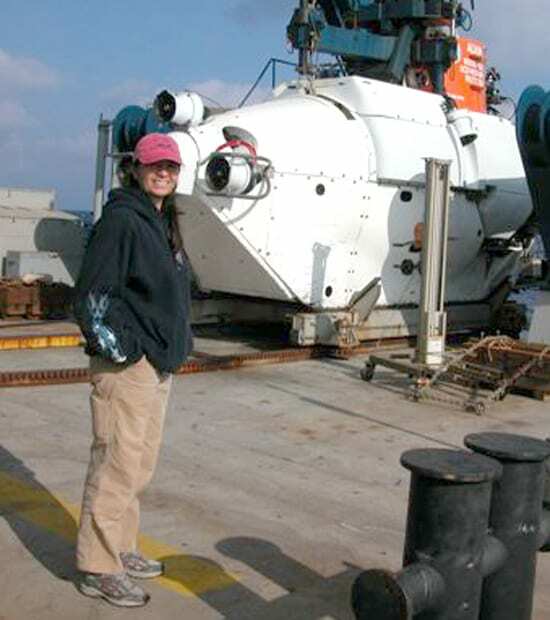 The 18 research institutions that operate 23 research vessels in the United States are in a system called the University-National Oceanographic Laboratory System, or UNOLS. One of its primary functions is to ensure the efficient scheduling of scientific cruises. Each of these places has its own ship scheduler. There’s a sense of camaraderie. We work together to help each other make as efficient schedules as possible and to put the right ships with the needed capabilities in the right places at the right times. On the other hand, the competition between operators of the research vessels can be high, because if I don’t schedule research cruises, our ships are going to be laid up—not put out to sea. Then our people—the crew on the ships we operate—are going to be laid off. On average, once or twice a month. But there could be days and sometimes weeks of deliberating before changes are implemented. It sounds like an enormous, shifting puzzle. How do you and the scientists deal with changes? People adjust pretty well. They may start their cruise a couple days later or earlier. Sometimes they don’t want to adjust, or they can’t adjust for whatever reason. So then I need to look at how maybe we can rearrange the whole schedule to accommodate people. If I can’t come up with a solution, or I come up with solutions that don’t work for scientists, I go to the agency that has funded the research for help. I’ve had two major schedule shifts. The first came shortly after I started here, when we had to basically shift the whole schedule because a scientist wasn’t ready to go to sea. How many scientists do you help to schedule each year? For the past four years we have averaged about 600 to 700 participants per year, for our three ships combined. We have not seen a significant drop in the number of participants. But we have seen a downward trend in the number of scheduled ship days, especially for the intermediate- and smaller-sized ships. It is predicted that the decline in ship days will continue in 2009 and 2010. Why the decline in ship days? The high cost of fuel has had a major impact on the operating cost of the fleet. Funding agencies like the National Science Foundation and the Office of Naval Research have had somewhat flat budgets the past several years, so the shortfall is expected to come out of the number operating days. At the start of every scheduling year, there is talk of ship lay-ups. But somehow schedulers and funding agencies work together to keep the fleet operating. I hope that things will turn around, and maybe we will have another down year or two, but then funding will bounce back. Hopefully, government priorities will shift, and science and technology will again move to the front burner. I think that science is really important. I admire scientists; they work really hard, and sometimes for their whole life, to get to sea. So I want to help make that happen. Part of your job requires communicating with different people in ports worldwide. What is that like? Working with other countries is always full of surprises and can be interesting. Recently we had to deal with a surprise holiday in Mexico called National Oil Exportation Day. All of a sudden, the Mexican government declared this day a holiday, and officials closed all their offices when we were trying to unload our vehicle Jason at their dock. Everyone was like, “Oh my, how are we going to deal with this?” Our ship’s agent worked some magic and we ended up clearing customs and offloading, despite the holiday. There are always unexpected things like that happening. How did growing up in a big family provide skills for this job? Why did you choose a career with a marine science focus? My dad had a few sailboats, and my mom is an outdoorsy person. She would always insist that we be outside and would take us for a swim in the sea, regardless of weather. I started off at the University of Rhode Island in mechanical engineering and took a few classes in marine science. I was more interested in studying our environment and fisheries than calculus, so I shifted majors. To earn money for college, I found summer jobs as a deckhand on commercial fishing vessels, including lobster boats in Point Judith, Rhode Island. I had heard the pay was good, but I was pretty naive about other aspects of the industry—including the fact that most women didn’t fish, and that fishing is one of the more dangerous occupations. What was it like being one of the only women in the Point Judith fishing fleet? I was lucky and ended up working for some great guys who treated me as an equal and taught me a lot about boats. Today, I find that same equal treatment on WHOI-operated ships. The work on the fishing boat was very physically demanding, and I got seasick often. But those were some of the best times I ever had at sea. In my senior year, I had an offer from a science and engineering company to do marine sampling along the New England coast. I thought I would fish forever once I finished college, so I wasn’t interested in the sampling job until the captain of my fishing boat fired me. He didn’t want me to fish the rest of my life and insisted there was a world out there waiting for me. How did your career trail lead to WHOI? From Rhode Island I went on to science- and environmental-focused jobs in Bermuda, California, Maine, back to California, then to WHOI (with a few other trips in between, including cruises in the Arabian Sea and Antarctica). For a short time I worked for a maritime corporation, but the business world was not for me. You’re getting married this summer. How does planning a wedding compare to planning ship schedules? If I drag my feet planning the wedding, only me and my fiancé feel the consequences. I don’t have this option with planning a cruise because if I was a slacker, too many people would be impacted.